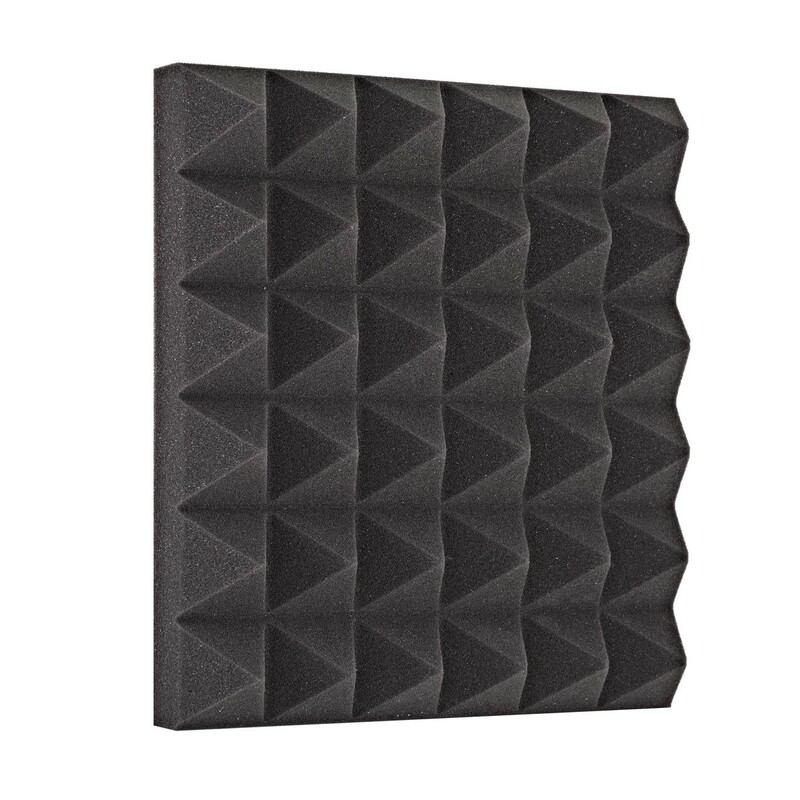 AcouFoam 30cm Acoustic Panels by Gear4music, Pack of 16, have been specially chosen for their open cell properties that are ideal for sound absorption. 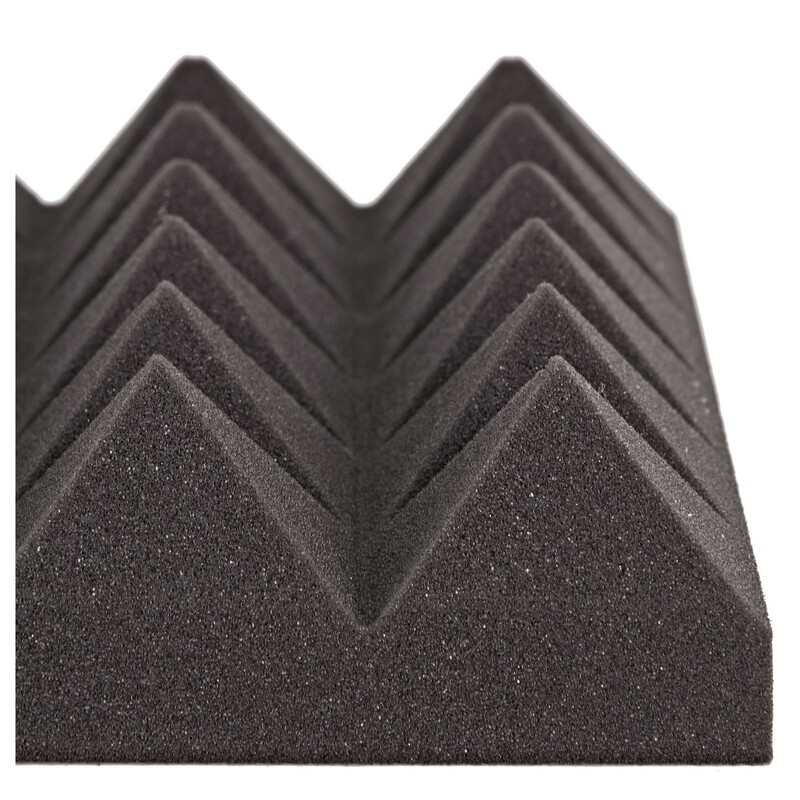 The pyramid design increases the surface area, improving absorption and making this a great value option for home studio use. These tiles are fire retardant and multiple units can be placed together for a smart, uniform look. 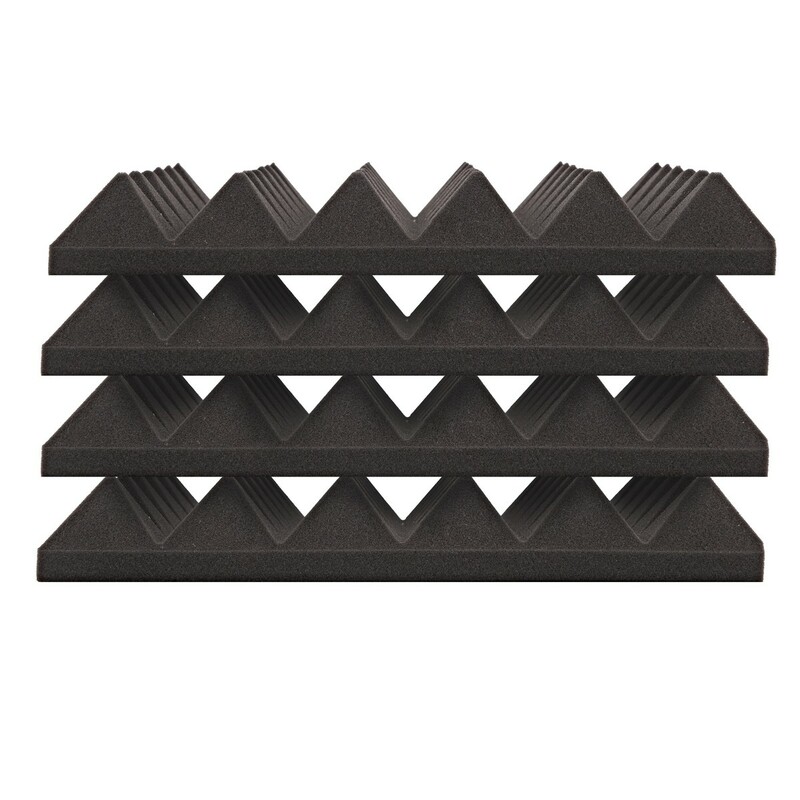 AcouFoam 30cm Acoustic Panels by Gear4music, Pack of 16, have balanced density and porosity for optimum sound absorption. 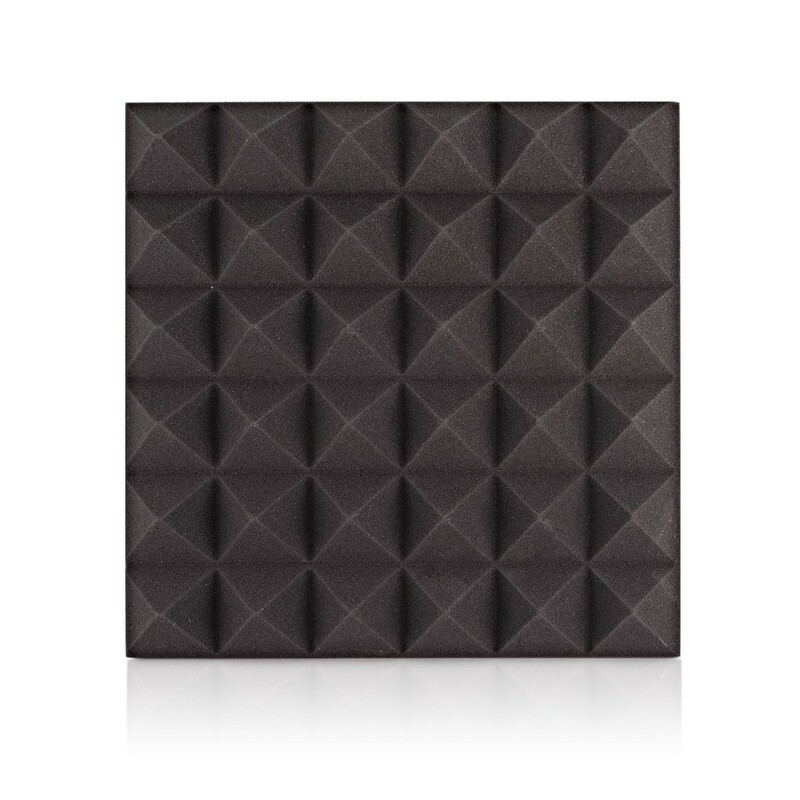 Tried and tested, these tiles are composed of a carefully selected open cell polyurethane foam that is known to improve sound in most audible frequencies. 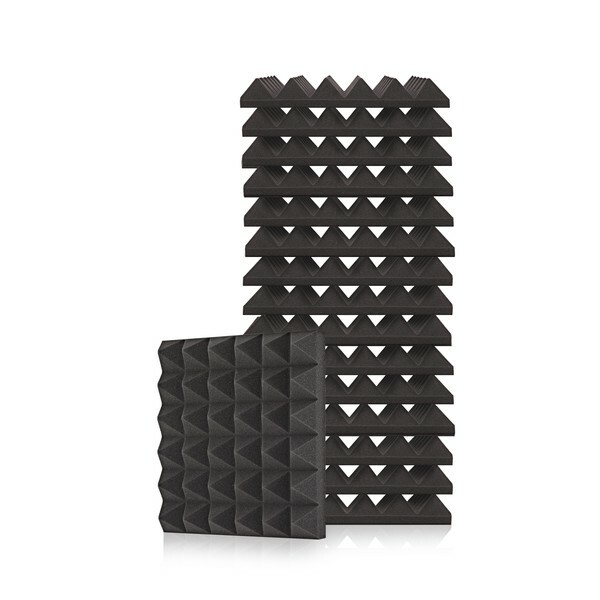 These acoustic tiles have been cut into a pyramid style that increases surface area and in turn maximises dispersion and absorption, making it most effective for medium to high frequencies. 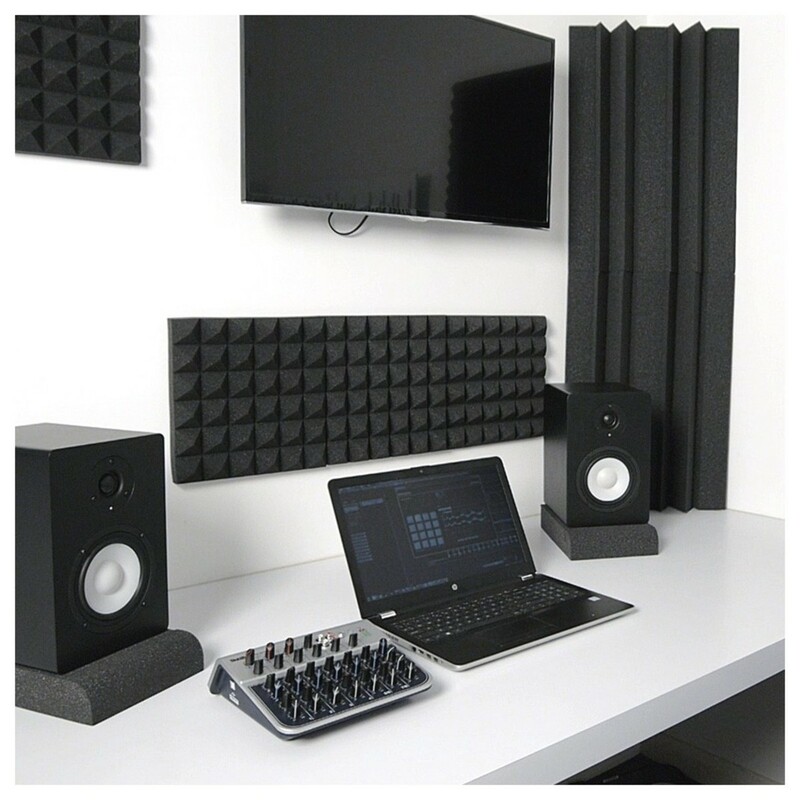 The lightweight nature and modular 30cm² size of this tile means you can play around with different placements and ensure you are capturing the right frequencies, making it ideal for monitoring purposes in a studio, as well as soundproofing live rooms. These acoustic foam tiles can also be used on ceilings to reduce deflected sound and therefore improving acoustics in open spaces. 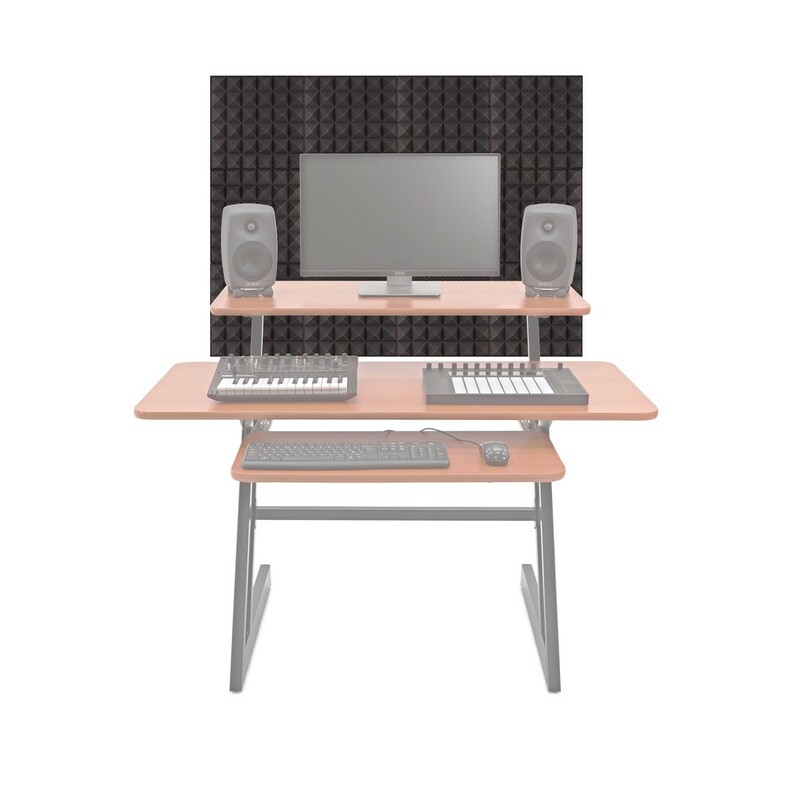 Machine cut for a precise pyramid style finish, these dark grey acoustic panels have been designed to be easy to fit together, with multiple units side by side creating a uniform look. Can be fixed with surface adhesive, tapes and hook & loop fasteners. These affordable tiles are also available in great value packages that offer the complete sound absorption required in home audio engineering environments. Available in multiples of 4 or in a room kit with sound isolation pads and bass traps, there is sure to be something suitable for your space.